A giant panda born in Madrid Zoo in 2013 arrived in Chengdu, capital of southwest China's Sichuan Province Thursday. 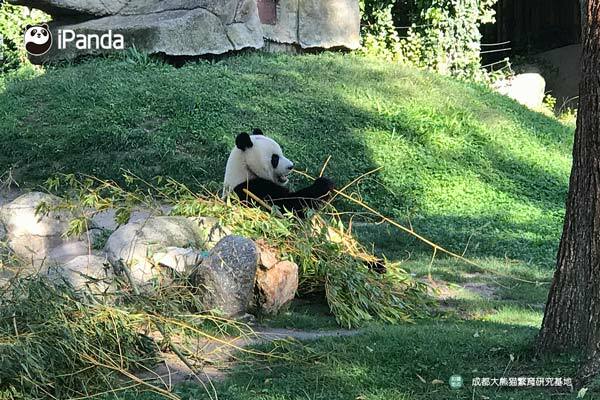 The male panda will been quarantined for one month before meeting the public at his new home, Chengdu Research Base of Giant Panda Breeding, the base said. Xing Bao, which means star treasure, was born on Aug. 30, 2013. He was the third cub born to panda Huazuiba and her mate Bing Xing. Under agreements signed with international zoos, all pandas born overseas must come to China once they mature to take part in breeding programs. Staff at the base prepared billboards introducing Xing Bao and gave out postcards to celebrate his arrival. China began cooperation with Spain in giant panda breeding research in 2007.